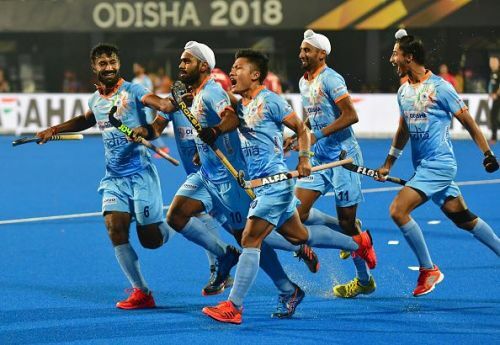 Hosts India would look to seal a direct quarterfinal berth with a win against Canada in their final Pool C match of the 2018 Hockey World Cup at the Kalinga Stadium in Bhubaneswar on Saturday. World number 5 India are currently leading Pool C with four points from two games ahead of Olympic silver medallist Belgium (4 points) on account of a better goal difference. The second and third placed teams from the pool will play cross-over matches against number 2 and 3 teams of other pools to decide the remaining last four quarterfinal places. So come tomorrow, the Indians will have to come out with a clear frame of mind and with just one goal -- a comprehensive win against Canada and top the pool. While insisting that Canada will rely on counter-attacks, the coach said India can't divert from its strength -- that is attacking hockey.